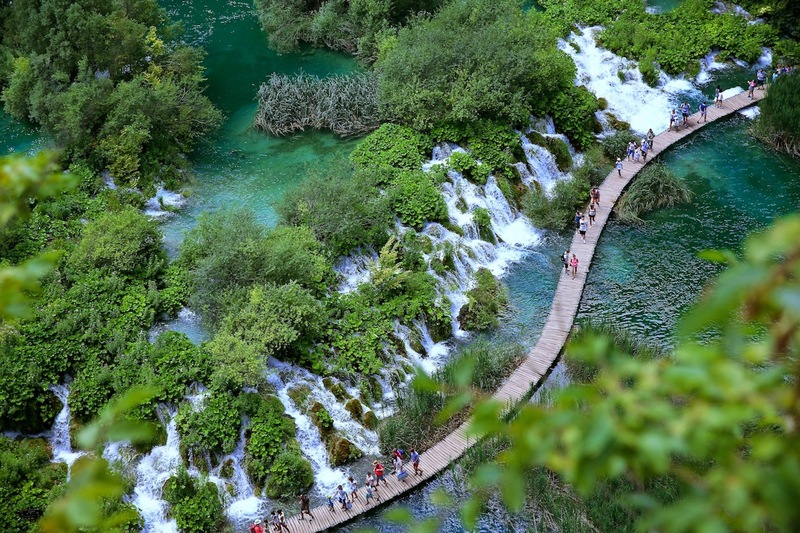 Plitvice Lakes National Park is a UNESCO World Heritage site located in Northern Croatia. 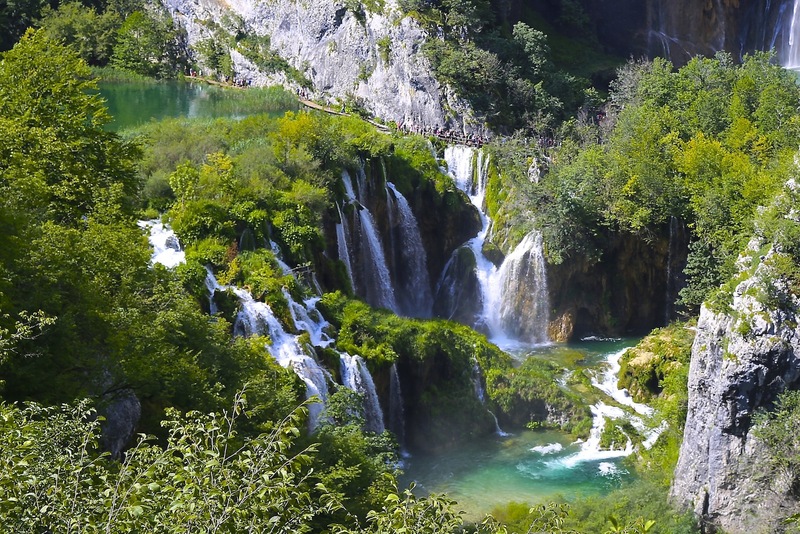 It displays a series of emerald and turquoise lakes and waterfalls that resemble something out of a fairytale. The area is home to the brown bear, wolf, eagle owl, and 126 species of bird. Varies at different times of the year, but ranges from 55,00 – 180,00 HRK, or about $8 – $26 USD per adult. Children get a discount. No question here, It’s a 10! Hiking shoes, but also pack a pair of rubber sandals because it floods in some areas and you have to walk through the water. If you have some extra time, bring a blanket and some snacks for an epic picnic (as long as you can carry these things in a backpack). 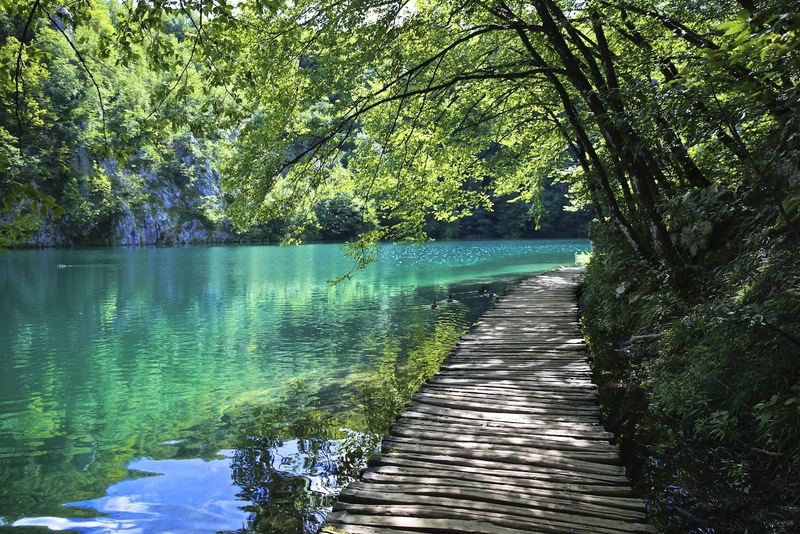 Plitvice Lakes National Park is located in Northern Croatia. Fly into either Zagreb or Zadar airport for the quickest access, and then expect 2 hours of drive time to get to the park. Depending on your pace, it could take anywhere from 3-6 hours. Or you can skip the whole trail and just start at the end where the best viewpoints are. The main path is about 5 miles long but there are many other trails in the 73,350 acres of the park to explore. Go very early in the morning to skip the crowds. If you go in the middle of the day, you will regret it. If you don’t want your photos full of tourists, go first thing in the morning. In my opinion, the best views were at the end of the trail. You may want to bring a waterproof cover or bag for your camera. The park gets extremely crowded in the summer. Consider going at an off-season time, to make the most of your trip. I booked a guide through Zagreb Tours, to drive me to the lakes and tell me about the park. He was wonderful, and the best part was, he was able to purchase my tickets in advance so we did not have to wait in the 2 hour line to get in. He also took me to the historic town of Rastoke which is worth seeing if you can. 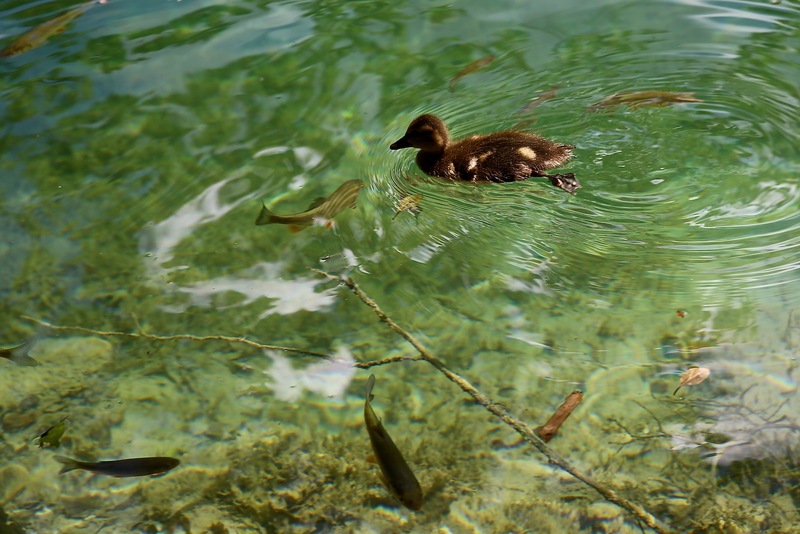 Want to see more of my personal photos from Plitvice Lakes National Park?